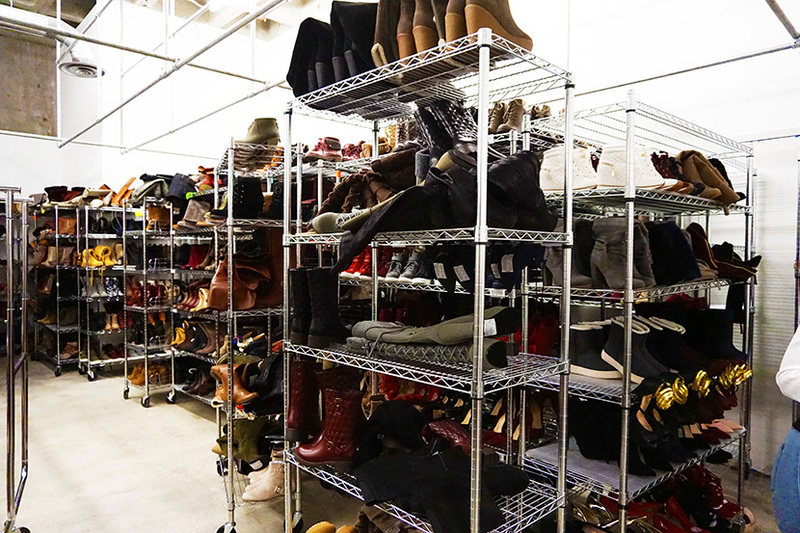 Last October, I flew to LA and visited the headquarters of one of my favorite shoe brands, Shoedazzle! A few months ago, I did a guest feature for their blog.You can read it on their website on this link HERE. 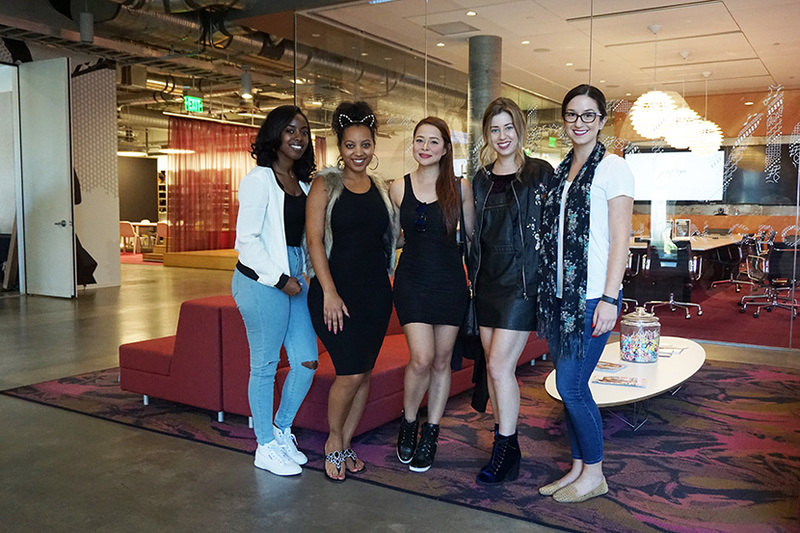 I had such a blast hanging out with the Shoedazzle Ladies, Bailey, Hollace, Stephanie and Shay. They took me on an awesome tour of the Shoedazzle Headquarters where I got to see the huge photography studios, gazillions of shoes (drool) and check out the Bar! (Yep, they actually have a bar in the office! After the tour, we had lunch and hung out for a bit at the lounge. I also took over Shoedazzle's snapchat for that day! What a fun opportunity, lady! You look amazing ! Pretty dress ! Really cute. Thanks for sharing your experience. I am actually wearing a pair of their shoes right now! Looks like you had an amazing time and a lot of fun. Love your look, so pretty. You all look gorgeous, love your shoes btw. You look stunning in black and that flat tummy is just a body goal. You look so good and I love the shoes you are wearing with this dress. I think it has that kinda of punk rocker look. I've always loved dresses with cute tennis shoes like this. I'm guessing these are a wedge? That sounds like such a fun event! Love your wedge sneakers! Love those wedges! This is such a neat idea. If I wasn't already limited for closet space it's something I'd definitely consider haha. Sounds like you had a fun time - I can't believe they have a bar at their office. I wish mine did!!! Talk about a dream come true to any shoe addict!! Congrats and how fabulous Cielo! This tour sounds like it was so much fun!! LA is such an amazing city! That's awesome! I love shoedazzle!! You look so cute! Love those wedges! Very cool shoes. You look awesome as always. Cute wedges. Amazing photos! I love your simple but si stylish outfit! Wow! lucky you!! Sounds so much fun! Cool post! Sounds like a blast! Love this post. I'm sure you had fun! What an amazing experience! Love taking a peek behind the scenes! What a cool experience! It would be dangerous to put me around this many great shoes! Looking so pretty...and the combination is really great on you....such a best style from you and the accessories impressed a lot...nice photo shoot....thank you..